Add an essential feature that is missing in the default block best sellers. Add the ability to have this block for each category, in the top or as identically tab to the home page. 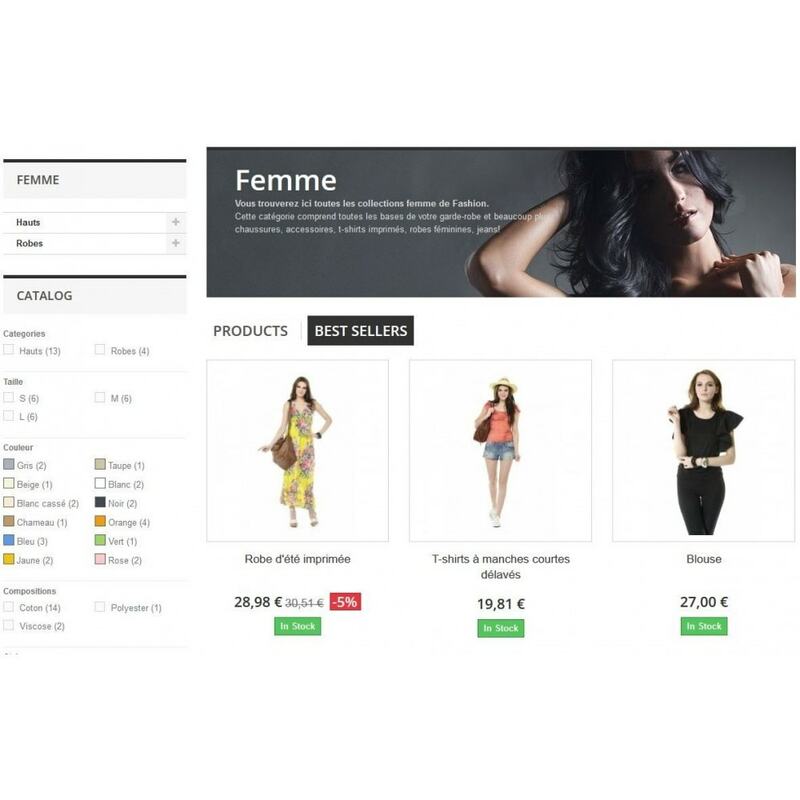 Furthermore it is possible to choose the number of products to show but also the minimum number of products in the top of best sellers to display or not this block. 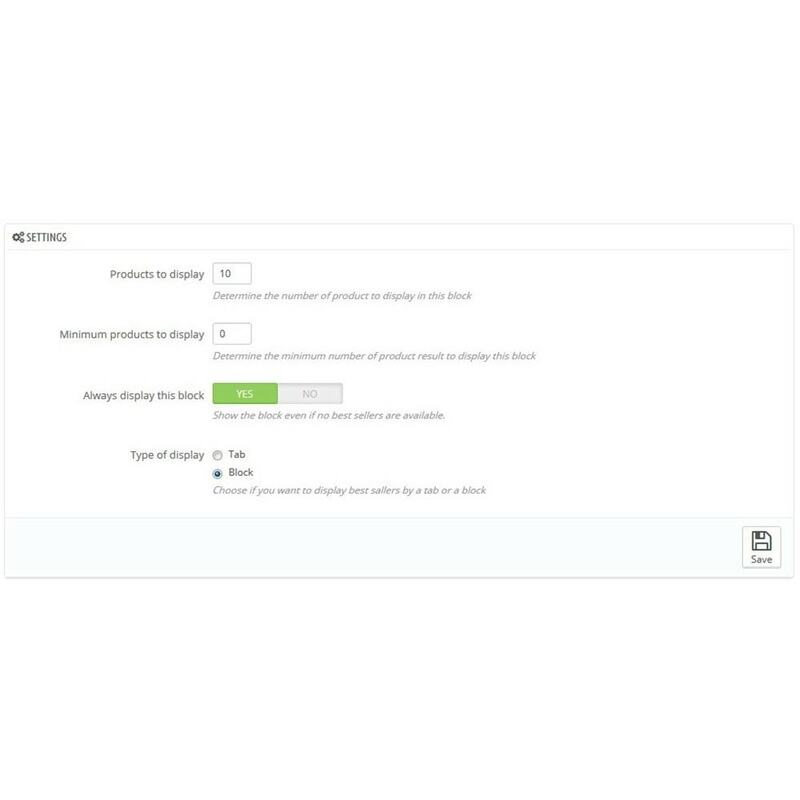 So you increase the visibility of your best sellers by filtering them according to the category chosen by the customer.